On Monday, during an intense state Senate committee hearing on gun control, Florida lawmakers struck down a ban on assault rifles and approved an amendment allowing educators to carry firearms in school. Speaking on the floor during the session, Florida state Sen. Oscar Braynon told the room that “the talk” he gave his young boys would have to be updated. Before, the talk on how to behave around armed authority figures centered on cops. Now it would include teachers. His colleagues in the Florida state Senate didn’t seem to be listening. A half-dozen Democratic amendments for gun reform were voted down at the Florida Legislature on Monday, including the reform most sought-after by Parkland, Fla., student activists: a ban on all assault weapons. 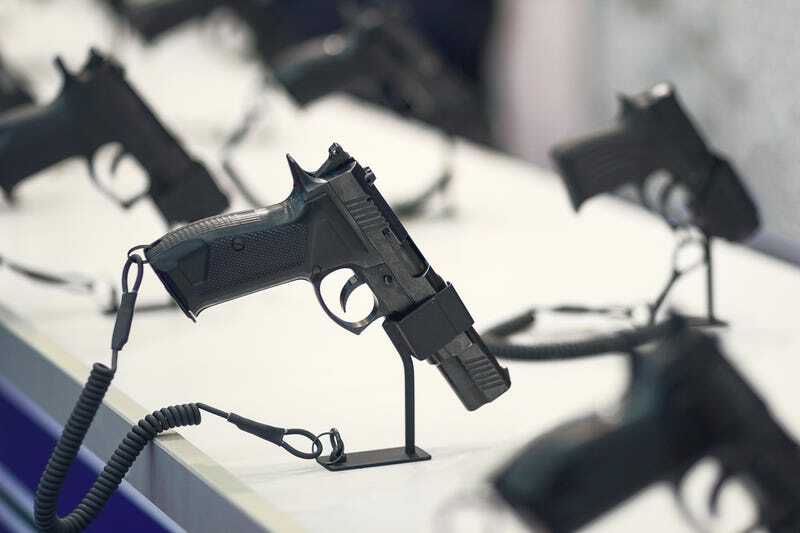 Instead, lawmakers approved proposals that included raising the age limit on firearm sales from 18 to 21, banning the sale of bump stocks and enacting the Florida sheriff’s Marshal Program, which would allow educators to carry firearms in school. The thread included an excerpt from a New York Times article featuring former Marine sniper and author of the memoir Jarhead, Anthony Swofford. More likely ... he would not have been able to draw his weapon (a side arm, presumably) quickly enough to stop the shooter, who with an an AR-15 would have had the coach outgunned. Even if the coach had been able to draw his weapon—from where? his athletic shorts?—any shots he managed to fire would have risked being errant, possibly injuring or killing additional students. As some studies have shown, even police officers have missed their targets more than 50 percent of the time. In firing a weapon, [the coach] would have only added to the carnage and confusion. But as Jamelle Bouie noted in a recent Slate article, school shootings are still, thankfully, a relatively rare phenomenon. What is not rare—and what has been quantified in myriad ways throughout the years—is racial bias in classrooms. And as Sen. Braynon implied, the Marshal Program, by introducing guns into environments where students of color are disciplined at disturbingly disproportionate rates, is much more likely to harm students than it is to save lives. As Bouie wrote, black, Latinx and Native American students are most likely to face harsh in-school discipline, despite not being any more likely to misbehave than their white counterparts. Bouie includes a number of data points to back this up, including this striking example: a 2011 study that found that 32 percent of black students were suspended for a first-time offense of using a cellphone at school. Their white peers were suspended at a rate of 15 percent. “At all ages, black and Latino children are viewed as more dangerous and unruly, regardless of actual behavior,” Bouie wrote—and in reading this passage, it’s difficult not to recall the image of a school police officer pulling a black girl from her desk and slamming her to the ground. From teachers to administrators to law enforcement officers, schools have not hesitated to dole out the most severe punishments to students of color. And now firearms may be an option. This is perhaps the most disturbing fact: There is no age at which students of color are truly protected. Yale research suggests that racial bias exists among preschool teachers. In one study conducted by the university, preschool teachers were asked to watch video clips of children in classrooms and scan for “challenging behavior.” The jig? None of the clips contained challenging behaviors. Nevertheless, researchers found that the teachers, scanning for signs of trouble, spent more time looking at black children than white children. The group they spent the most time watching? Black boys. The proposed bill in Florida also allows school district superintendents and county sheriffs to bar educators from participating in the program, thus introducing another entry point for an individual’s implicit bias to determine which teachers and administrators get approved and which don’t. It is hard to imagine a scenario in which black educators are approved to be armed at the same rate as their white peers.